Skeletal muscle is well-organized body tissue, composed in a complex array of smaller and smaller structures. Each skeletal muscle is composed of many units called muscle fascicles. The fascicles are bound together by a type of connective tissue called fascia. 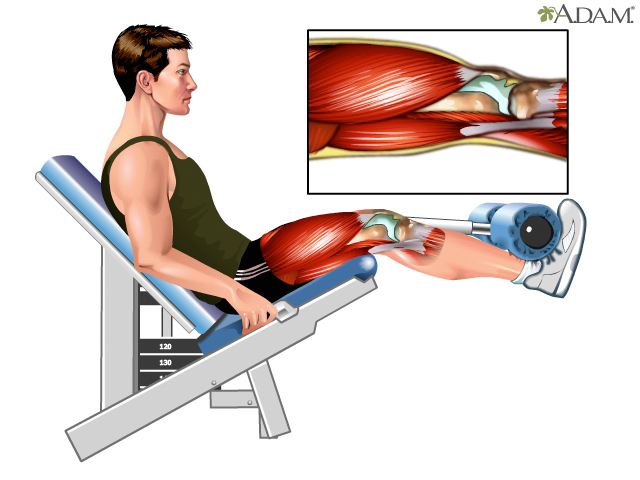 Fascicles are composed of smaller organizational units called muscle fibers. Smaller strands called myofibrils organize muscle fibers. The myofibrils move as skeletal muscle contracts. It is the interaction of the myofibrils as they slide and pull along side each other that gives skeletal muscle its functional ability to do work and move things. Putting it all back together, myofibrils compose muscle fibers, muscle fibers make-up muscle fascicles, and muscle fascicles are bound together by fascia to compose skeletal muscle.